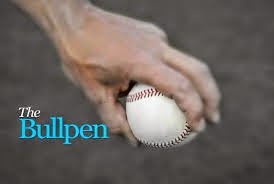 Health Reform in the "Bullpen"
The bullpen is not the one associated with baseball. 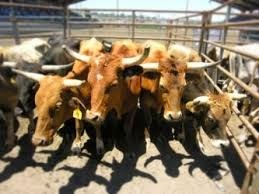 This is the one associated with bulls, that produce copious amounts of B.S. and greenhouse gases. On Wednesday, California Insurance Commissioner Dave Jones (D)criticized Anthem Blue Cross of California's nearly 9% average rate hike as "unjustified and unreasonable," Modern Healthcare reports. Starting April 1, Anthem imposed an average rate increase of 8.7%, affecting about 170,000 members (Modern Healthcare, 4/22). Meanwhile, about 4,000 policyholders saw increases of up to 25% (Terhune, Los Angeles Times, 4/22). According to Modern Healthcare, the rate increases apply only to grandfathered health plans -- those that were purchased prior to the Affordable Care Act going into effect and therefore do not need to comply with its coverage requirements (Modern Healthcare, 4/22). Jones said that Anthem had failed to justify its most recent rate hike, alleging that the insurer had exaggerated its past and future expenses. Anthem defended its rate increase, noting that it "reflects the fact that escalating health care costs are an economic reality faced by the entire industry." In filings, Anthem reported that its medical costs for policyholders with grandfathered plans were projected to rise by 9.5% in 2015, in large part because of higher costs for prescription drugs. Anthem spokesperson Darrel Ng said, "More high-cost, mass-market specialty drugs are expected to be released in the next year, further increasing medical costs and contributing to higher premiums." Anthem added that the rate increases could be attributed to aging consumers "because new younger, healthier members are not able to sign up for grandfathered plans" (Los Angeles Times, 4/22). The insurer added, "Even with the rate change, in many cases, these policies have a lower monthly premium than those sold on the individual market today" (Russell, San Fernando Valley Business Journal, 4/22). Peter Lee and the Covered CA Board of Directors are silently and gleefully cheer leading these increases. These increases are going to eventually increase the Covered CA enrollment numbers, which is all Peter and the lame BOD seem to care about. Low on their priority list are fixing the narrow networks and the lousy and costly ACA health plans. Peter Lee and the CCA BOD need to be replaced with members/leaders that will champion the consumer. Now the fun begins. 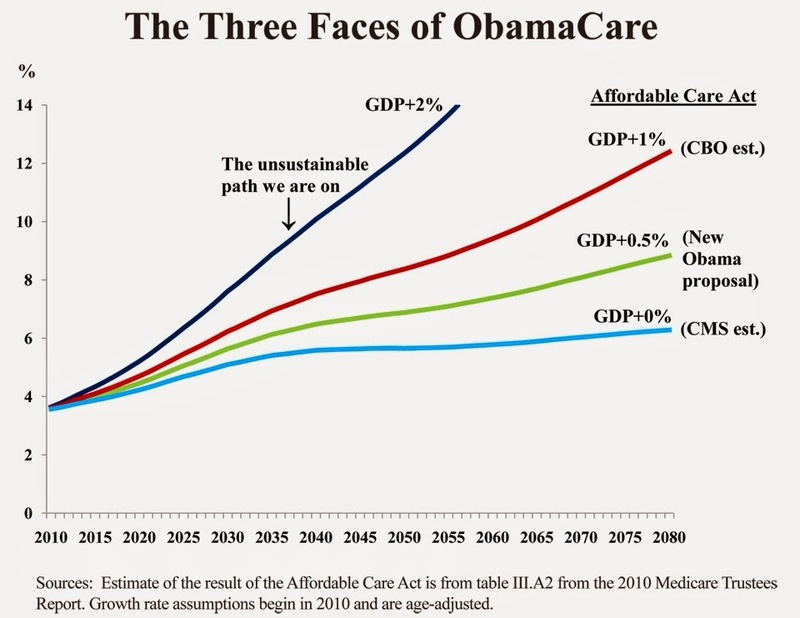 There will be a large movement of the grandfathered people to the ACA within Anthem. As this becomes a reality, the new ACA policyholders will have a wakeup call that their providers that serviced the grandfathered plan will not accept their new ACA plan. Always check ahead to see if Providers will accept before changing plans! Proving, yet again, 1) what damn fools the voters are and 2) that Big Medicine is public enemy #1 in the decline of the middle class. And where is Covered California cowering, pretending to stick up for the public interest? Grandfathered plans currently offer a great deal in comparison to current small group and individual non-grandfathered plans. It is inevitable that grandfathered plans will eventually lose their luster. These old grandfathered plans had lower rates because those participating in them were made up of a risk pool of healthly people, with a continual in-flow of more healthy people. Those two reasons are now gone. The grandfathered pool of business will slowly deteriorate. This is just the beginning. Are our hospitals really this bad ? Or is the bar set too high favoring large institutions due to their ability to adopt CMS EHR regulations ? Vacuum cleaners get them. Movies get them. Now hospitals are being given star ratings to help patients decide which ones to use. On Thursday the federal government awarded its first star ratings to hospitals based on the opinions of patients. Some of the nation's most lofty hospitals—the ones featured in best hospital lists—received mediocre ratings, while the maximum number of stars often went to small, regional hospitals and others that specialize in lucrative surgeries. Evaluating hospitals is becoming increasingly important as more insurance plans offer patients limited choices. Medicare already uses stars to rate nursing homes, dialysis centers and private Medicare Advantage insurance plans. Medicare publishes dozens of quality measures on its Hospital Comparewebsite, but many are tough to decrypt. Most consumers don't use them. Many in the hospital industry fear Medicare's 5-star scale won't accurately reflect quality and may place too much weight on patient reviews, which are just one measurement of hospital quality. Medicare also reports the results of hospital care, such as how many patients died or got infections during their stay, but those are not yet assigned stars. "We want to expand this to other areas like clinical outcomes and safety over time, but we thought patient experience would be very understandable to consumers so we started there," Dr. Patrick Conway, chief medical officer for the Centers for Medicare & Medicaid Services, said in an interview. Medicare's new summary star rating, posted on Hospital Compare, is based on 11 facets of patient experience, including how well doctors and nurses communicated, how well patients believed their pain was addressed, and whether they would recommend the hospital to others. In assigning stars, Medicare compared hospitals against each other, essentially grading on a curve. It noted on Hospital Compare that "a 1-star rating does not mean that you will receive poor care from a hospital" and that "we suggest that you use the star rating along with other quality information when making decisions about choosing a hospital." The American Hospital Association offered its own caution, saying: "There's a risk of oversimplifying the complexity of quality care or misinterpreting what is important to a particular patient, especially since patients seek care for many different reasons." 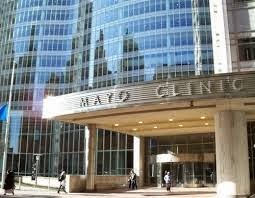 A few five-star hospitals are part of well-respected systems, such as the Mayo Clinic's hospitals in Phoenix, Jacksonville, Fla., and New Prague, Minn. Mayo's flagship hospital in Rochester, Minn., received four stars. On average, hospitals scored highest in Maine, Nebraska, South Dakota, Wisconsin and Minnesota. Thirty-four states had no one-star hospitals. In total, Medicare assigned star ratings to 3,553 hospitals based on the experiences of patients who were admitted between July 2013 and June 2014. Medicare gave out four stars to 1,205 hospitals, or 34 percent of those it evaluated. Another 1,414 hospitals — 40 percent — received three stars, and 582 hospitals, or 16 percent, received two stars. Medicare did not assign stars to 1,102 hospitals, primarily because not enough patients completed surveys during that period. Doctors Applaud SGR Bill's Malpractice Protection: "Doctors Applaud SGR Bill's Malpractice Protection"
Medical groups are applauding the overwhelming vote in the US Senate Tuesday to prohibit plaintiffs from using a physician's performance on federal quality measures in a medical malpractice lawsuit. The provision included in the legislation to repeal the Medicare Sustainable Growth Rate (SGR) formula would stop plaintiffs from using a doctor's quality improvement performance as the sole basis for a medical liability lawsuit or to prove negligence. Language in the law states that "the development, recognition, or implementation of any federal health care guideline or standard shall not be construed to establish a duty of care in medical malpractice claims." The bill was passed in the Senate by a vote of 92-8 and was previously approved by the House of Representatives in a 392-37 vote. President Obama has said that he will sign the legislation. For example, plaintiffs won't be able to include in a lawsuit the fact that a doctor didn't earn an incentive under the Physician Quality Reporting System (PQRS), or if a preventive care service covered under the Affordable Care Act (ACA), such as screenings, isn't performed and the patient is ultimately diagnosed with a disease. The fact of ACA coverage of the service can't be used to demonstrate malpractice or negligence. This feature, largely ignored by the media, and not well known even amongst physicians preempts any attempt by plaintiff attorney to denigrate a physician defendant. Social media has a major influence's and news disseminating source for health professionals. Top patient care performers are most profitable hospitals - FierceHealthcare: "Top patient care performers are most profitable hospitals"
Patients rank the most profitable hospitals as top performers for many metrics. Hospitals with high performance scores in patient care are more profitable, according to a new Press Ganey report. The top 25 percent of U.S. hospitals with the highest scores on the Hospital Consumer Assessment of Healthcare Providers and Systems (HCAHPS) question about performance were, on average, the most profitable and had the highest clinical scores, suggesting that patient experience, coupled with clinical outcomes, can mean financial profitability for the institution. "It is interesting to note that the only hospitals that showed a positive profit margin were those that were highly rated by their patients," the report states. "...Although there is not a lot of difference in the clinical measures among the four groups of hospitals segmented on patient rating score, the top quarter of hospitals based on HCAHPS overall rating score also have the highest average clinical score. Taken together, these [results] suggest that excellence in patient experiences, clinical outcomes and financial profitability often occur together." The work of CMS to improve quality of care is a doublel edge sword. Implementing these change increases operating expenses, leaving less capital and decreasing profits. Those hospitals who manage finances best experience a higher profit resulting in better scores. The Sustainable Growth Rate which was established in 1995 has been a 'trojan horse' lurking and waiting to strike each year at budget time. The SGR caused severe angst to providers and hospitals each year distracting health care providers with a ghost law. HISTORY--Doc Fixes Began With "The Biggest Backroom Deal"
Congress created the SGR formula in 1997 to put the brakes on Medicare spending for physician services. The formula sets annual spending targets based partly on changes in the gross domestic product. If Medicare spending comes under the target, physician payment rates go up the following year. But if spending exceeds the target, rates are reduced to make up the difference. 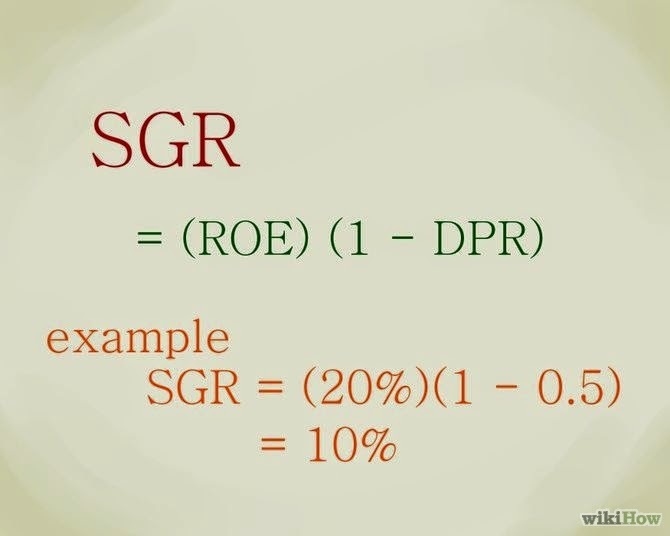 The formula became a definite nemesis of organized medicine in 2002 when SGR math yielded a 4.8% pay cut. Another 4.8% dip followed in 2003, and on February 13 of that year, Congress enacted the first of its doc fixes, replacing the 4.8% cut with a 1.4% raise. 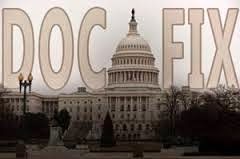 The first doc fix was a backwater provision in an omnibus appropriations bill that one lawmaker called the "biggest backroom deal" in the history of Congressional spending, according to the New York Times. It was a 338 to 83 vote in that House that day, 76 to 20 in the Senate. The history of the SGR and it's real meaning became apparent this year. The Sustainable Growth Rate was never mean to sustain growth, nor to be enforced. The SGR was designed to be used as pawn in the trade of eliminating the onerous clause in return for approval of the Pay for Value rembursement system presently in development by CMS. For years, organized medicine warned that a rate reduction on the magnitude of 21% would drive physicians out of Medicare and leave seniors in a lurch. Likewise, medical societies constantly chastised Congress for postponing past SGR-triggered pay cuts — kicking the can down the road, they called it — instead of repealing the formula outright. Such "doc fixes," in Congressional parlance, caused the cuts to accumulate into the monster that came to life on April 1. Organized medicine now has its SGR victory, but not everyone is sanguine about the future of Medicare reimbursement. Last week, the chief actuary of CMS issued a report saying that under MACRA, annual Medicare raises for physicians would not keep pace with rising practice costs in the long run. By 2048, the gap between payments and practice expenses would be greater than if Congress had let the SGR formula take effect, according to the report. After 17 previous Congressional holding actions going back to February 13, 2003, the Senate today clinched the approval of a bipartisan bill that finally repeals Medicare's sustainable growth rate (SGR) formula for physician compensation and averts a 21% pay cut this year. The Senate vote was 92 to 8. The House overwhelmingly approved the bill, called the Medicare Access and CHIP Reauthorization Act (MACRA), last month. Now the legislation goes to President Barack Obama, who has promised to sign it. Buried within the law (H.R.2 - Medicare Access and CHIP Reauthorization Act of 2015) are many fine points about calculations, bundled care, and giving the Secretary of HHS unbridled powers to determine physician and hospital fees. The bill will freeze Medicare rates at pre-April levels through June, and then raise them 0.5% in the second half of the year. They will continue to increase 0.5% each year from 2016 through 2019. At the same time, MACRA will shift Medicare compensation from fee-for-service to pay-for-performance. The IFTTT is the swap between SGR and conversion to a pay for value system of reimbursement. It takes more than money for hospitals and health systems to motivate and retain employed physicians, says a senior executive at Catholic Health Initiatives. More doctors are leaving private practice for positions in hospitals and health systems—and they report the new model of doing business looks promising. The benefits of being of an employed physician are anticipated to include "improved communication, greater transparency, better physician job satisfaction and a more patient-centered focus," says a survey by the American College of Physician Executives. "It's the reality, and healthcare needs to accept this reality," said Peter B. Angood, MD, CEO of the ACPE. "Everything is moving in the direction where physicians want to be employees…I'm not a zealot of it, but it's a phenomenon that's happening, and we need to embrace it." A 20-question survey sent to 10,000 members of the ACPE was completed by 617 respondents. Of those, 59 percent said that at least 50 percent of the physicians in their healthcare organization were directly employed—and 18 percent of the respondents said all physicians in their organization were directly employed. Not Like the 1990sThis isn't the first time the healthcare industry has trended away from private practice and toward hospital-employed physicians. In the early 1990's, physicians began flocking to healthcare organizations as a part of the Managed Care trend, which later fizzled out amidst a consumer backlash citing decreased quality of care and allegations of withholding necessary medical procedures to cut costs. Angood says the current push toward employed physicians is different. "It seems both the physician workforce as well as healthcare systems are committed to not having the same issues pop up as did in the early 1990's," he said, adding that many of this generation's physicians are happy to take advantage of focusing on treating patients and to take advantage of the improved work-life balance that working for a hospital or other organization offers. "It's getting harder and harder to manage your own practice. Smaller groups don't have the capital, and banks don't want to lend money for these things," T. Clifford Deveny, MD, Senior Vice President, Physician Services and Clinical Integration at Catholic Health Initiatives, said. In addition to freeing themselves of duties related to finances, marketing, and other administrative physicians frequently find benefits packages in large organizations superior to anything they could obtain in private practice, with traditional benefits such as paid time off, competitive health insurance and retirement savings programs, and in some instances, "boutique" benefits such pet health insurance or concierge services. "Traditionally, a physician is trained to be an independent thinker and do what they think is best, but integrated systems are there for the benefit of the patient, not the practitioner," Deveny said. "I've always been cautious to say whether employing physicians will improve their jobs." Deveny also expressed concerns about physicians feeling like they were simply a cog in a machine, rather than a doctor actually treating patients. "When the IT guy or finance person doesn't meet your needs, you get frustrated," he commented. Chronic Care, Everywhere. It’s no secret that providers are moving quickly to implement accountable care organizations (ACOs). Recently, the Premier healthcare alliance released a survey of hospital executives projecting that ACO participation will nearly double in 2014. As providers work to improve their way to shared savings payments, look for a more intensive focus on the biggest health care consumers: those with multiple chronic conditions. Since each chronic condition increases costs by a factor of three, managing this population is the sweet spot for the ACO, and the deepest pool from which to pull savings. To do it, an increasing number of providers will deploy Ambulatory Intensive Care Units (A-ICUs) or patient centered medical homes as part of their ACO, which will be charged with better managing chronic conditions exclusively within a clinically integrated, financially accountable primary care practice. As part of the approach, providers will develop care pathways for better managing chronic conditions and behavioral health needs, with an eye toward lowering hospital utilization, including inpatient bed days, length of stay, admissions, readmissions, and ED visits. Put Me In, Coach. As an outgrowth of the need to manage chronic conditions, we expect new forms of health care employment in 2014. For instance, early adopters of the A-ICU care model report that their biggest asset in the effort to manage chronic conditions isn’t a nurse or a doctor, it’s a health coach. Health coaches function like a personal trainer in a gym; they’re there to motivate, challenge, inspire, and listen. They complement medical professionals providing care; they get to know the patient one-on-one and keep clinical staff apprised of issues that wouldn’t come up in a doctor’s appointment, including financial struggles, problems with housing, family concerns, or any other obstacle that could stand in the way of someone following a prescribed care plan. And because the position does not necessarily require a medical degree, health coaches can be drawn from a diversity of settings. Health Care at Home. We may have thought the days of the house call were over, but increasingly, they are coming back into fashion. Marketing firm BCC Research predicts that the market for remote monitoring and telemedicine applications will double from $11.6 billion in 2011 to about $27.3 billion in 2016. Much of the interest is being fueled by the people expected to become insured through the Affordable Care Act, a surge of new consumers that our system simply can’t treat in person. Also driving the growth is the need to make care more convenient, particularly for those with chronic conditions, so patients can be monitored and coached to health anytime, anywhere. And there’s a cost component to the trend as well. “Hospital at Home,” a program designed by Johns Hopkins that provides acute care services in the homes of patients who might otherwise be hospitalized, has been demonstrated to increase the quality of care patients receive, improve their satisfaction, and reduce costs by at least 30 percent. Last, technology-enabled at-home health care is increasingly solving an access issue for patients. According to a recent survey, almost half of rural hospitals use virtual care or telemedicine to connect with patients who may be too far away for an in-person visit, allowing them to close the gaps in care that arise due to geography. On-the-Job Health. If you don’t already work for a company that offers incentives for healthy behaviors or penalties for non-compliance, that’s likely to change in 2014. This trend is being driven by two forces, both spurred by the ACA: the ability for employers to increase the dollar value of wellness incentives from 20 to 30 percent of total coverage, and increased private insurance costs. When considering the wellness incentives, employers are responding with both free health tools and financial incentives. On the tools front, this can include free pedometers or FitBits to monitor activity, or free subscriptions to wellness web sites such as iFit or HealthyRoads. In terms of incentives, these can take a variety of forms, too. Whole Foods, for instance, offers its healthiest employees deeper store discounts. Others provide gift cards or extra paid days off for wellness behaviors such as joining a gym or participating in health screenings. To address the cost issues, employers are addressing lifestyle choices that lead to higher health care consumption and corresponding costs, including tobacco use and obesity. Some employers, including Alaska Airlines and Hollywood Casinos, have hiring bans for employees who test positive for nicotine use. Others charge higher premiums or impose financial penalties for employees that fail to meet minimum health standards, such as a 40-inch or less waist circumference or a body mass index under 35. Changes in the Exchanges. Insurance exchanges aren’t just for the public markets. In fact, a growing number of employers are considering comparable, private exchanges for their employees. Private exchanges allow employers to contract with a benefits provider offering hundreds of competitive health plans from dozens of insurers. Individuals are given a defined contribution from their employer to purchase coverage, allowing them to select the form their benefits will take, including the amount devoted to health, dental, vision, life or disability insurance, as well as the risk they accept via co-pays and deductibles. Our expectation is that private exchanges will continue to grow in popularity in 2014, as they give employees an opportunity to customize coverage and provide a predictable amount of spend for the employer. War of the Words. Mid-term elections will have politicians out in full force trying to re-prosecute the case on health reform. But anyone anticipating big changes to the ACA before 2017 will be disappointed; although the bellyaching will be at fever pitch, there will be no viable pathway to repeal and replace the law this year. However, there will be opportunities for health policy changes this year. A few areas we see getting traction include a permanent fix to the sustainable growth rate (SGR) method for calculating physician payments. There is an SGR fix on the table, and members of Congress could come to a compromise on the path forward, complete with “pay fors” to fund it, by March. A permanent SGR fix will put physicians on the value-based purchasing (VBP) track that hospitals adopted years ago, with a significant portion of their income tied to quality and cost improvement, as well as incentives to pursue alternative models such as bundled payment and shared savings. Along with SGR, we expect to see CMS adjust their two-midnight rule (which has already been further delayed until after September 30). This would help ensure that medical decision making is left in the hands of the physicians and not an arbitrary timetable. And we expect there could be changes to the hospital-acquired conditions (HAC) policy, which today penalizes hospitals up to three times for the same conditions. Ultimately, we believe CMS will recognize this policy is in effect arbitrary and unfair and replace it by moving HACs into the VBP program. Data Liberation. The big buzz in health care is Big Data. From electronic health records to clinical measures and decision support tools, providers are inundated with new technologies that enable them to automate processes and capture new types of clinical data. However, these systems are limited in their potential because they don’t “talk” to one another; they’re the equivalent of an email system that only allows you to send messages to people in your own company, or a phone plan that only allows you to make calls in your house. As long as data remains captive behind proprietary walls, we won’t be able to unlock its true potential. Inherent in the Big Data revolution of 2014 will likely be a provider-led push to liberate data by making application programming interfaces open source tools that developers can use to design creative, new applications that make use of all the data, and turn it into something providers can truly leverage. It’s sort of the iPhone approach to health care technology — Apple owns the operating system, but anyone can design an app that leverages it to deliver programs and services that the user truly values. Recognizing the trend, some EHR vendors and insurers are making more systems open for innovation. But industry players can look for 2014 to be the year that the push for transparent data assets reaches a boiling point. Partners R Us. We’ve already started to see unusual partnerships across health care designed to deliver care in new ways. Some of the more interesting moves in 2013 involved drug chains partnering with physician groups to create ACOs based around retail clinics. But in 2014, look for the trend to include community-based groups, including social service agencies, area gyms, and other non-health care service providers. To give an example, Mount Sinai Hospital in Chicago serves a highly indigent population, where the poorest residents have a diabetes rate that is three times the national average. There, Sinai partnered with a local grocery store to offer healthy food and classes on how to prepare it. Encouraged by the success they had working with 300 patients, Sinai expanded the program to local schools, day-camps, and youth programs. As more providers look to provide “whole person care,” we expect many more of these kinds of unconventional approaches, and anticipate more formal arrangements with community churches to provide group care sessions, nature centers to provide outdoor exercise opportunities, taxi services to provide free or reduced price health care transportation services, and many more. What exact changes were made to the regs? This was a surgical strike. The Clinical Laboratory Improvement Amendments (CLIA) regulations were revised to permit labs to provide results to patients, and the HIPAA regulations were revised to eliminate lab test results from the (very short) list of records not covered by HIPAA's patient access rule. Thus, if a patient asks, CLIA permits and HIPAA requires that a lab provide the results. Is this significant? Yes, it is. This is a notable development because it was prompted not by legislation (the usual culprit when it comes to regulatory revisions) but by persistence on the part of patient advocacy groups and evolution in thinking within government. The final regulation has been a long time coming. It was originally published as a proposed rule more than two years ago. While it has been supported by many interested parties, including the Society for Participatory Medicine, there was significant opposition to the rule from organized medicine on the grounds that unmediated information could be misinterpreted by patients and could otherwise be problematic. The rule was held up in the final stage of review -- at OMB, which reviews the projected cost burden of proposed regulations -- for five months (that's at least 2-3 months longer than expected). Under HIPAA, health care providers have up to 30 days to respond to patient requests for health care records, and freestanding labs will now join imaging centers, physician offices, hospitals, clinics and other providers in complying with this requirement. Labs, like other providers, may charge patients for the cost of providing records. Given the 30-day response period, there should be plenty of time for physicians to contact patients directly about potentially worrisome test results. Since most, if not all, of the data at issue here will be stored and transmitted electronically, it is possible -- and perhaps even likely -- that many test results will be transmitted to patients in less than 30 days. Some of the health care organizations that already facilitate delivery of this sort of information do it automatically and electronically. That's the vision of the future for the engaged patient: frictionless sharing of information. Coming soon to a lab near you. 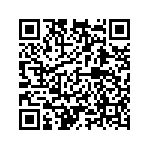 A version of this post first appeared on e-patients.net, the blog of the Society for Participatory Medicine. David Harlow chairs the Society's Public Policy Committee. Barefoot doctors (Chinese: 赤脚医生; pinyin: chìjiǎo yīshēng) are farmers who received minimal basic medical and paramedical training and worked in rural villages in the People's Republic of China. Their purpose was to bring health care to rural areas where urban-trained doctors would not settle. They promoted basic hygiene,preventive health care, and family planning and treated common illnesses. The name comes from southern farmers, who would often work barefoot in the rice paddies. At first glance, China might seem unlikely to offer useful health care lessons to many other countries. Its health system exists within a unique geopolitical context: a country of more than 1.3 billion people, occupying a huge, diverse landmass, living under authoritarian single-party rule, and making an extraordinarily rapid transition from a Third-World to a First-World economy. But first impressions can be misleading. Since its birth in 1949, the People's Republic of China has undertaken a series of remarkable health system experiments that are instructive at many levels. One of the most interesting lessons from the Chinese experience concerns the value of an institution that many countries take for granted: medical professionalism. In 1984, a second phase began: China turned its health system on its head, almost as an afterthought to dramatic free-market reforms in the rest of its economy. Led by Communist Party leader Deng Xiaoping, China converted to a market economy and reduced the role of government in all economic and social sectors, including health care. Government funding of hospitals dropped dramatically, and many health care professionals, including barefoot doctors, lost their public subsidy. The government continued to own hospitals but exerted little control over the behavior of health care organizations, which acted like for-profit entities in a mostly unregulated market. Many health care workers became private entrepreneurs. Physicians working for hospitals received hefty bonuses for increasing hospital profits. As they responded to these new economic imperatives, Chinese physicians had little history or tradition of professionalism or independent professional societies to draw on. China had transitioned from a society organized according to Confucian principles (which did not envision the existence of a modern, independent profession such as medicine) to a communist country (in which clinicians were state employees owing their primary allegiance to the Communist Party) to a quasi-market environment. At no point along this journey did physicians have the opportunity or support to develop the norms and standards of medical professionalism or the independent civic organizations that could promote and enforce them. Indeed, the Chinese language has no word for “professionalism” in the Western sense. To make China's experiment with free-market health care even more dramatic, the Chinese reforms left the vast majority of the population uninsured, since the government did not provide coverage and no private insurance industry existed. 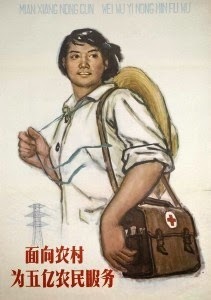 As of 1999, a total of 49% of urban Chinese had health insurance, mostly through government and state enterprises, but only 7% of the 900 million rural Chinese had any coverage.2 Thus, a population largely unprotected against the cost of illness confronted a health care delivery system intent on economic survival and a health-professional workforce that had never had the opportunity to develop as independent professionals. Indeed, prevailing new economic rules and incentives strongly encouraged physicians to operate like entrepreneurs in a capitalist economy. The government kept its hand in one major aspect of health care: pricing. Presumably to ensure access to basic care, it limited the prices charged for certain services, such as physicians' and nurses' time. However, it allowed much more generous prices for drugs and technical services, such as advanced imaging. The predictable result: hospitals and health care professionals greatly increased their use of drugs and high-end technical services, driving up costs of care, compromising quality, and reducing access for an uninsured citizenry. By the late 1990s, this market-reform experiment had resulted in public anger and distrust toward health care institutions and professionals, and even in widespread physical attacks on physicians. Discontent with lack of access to health care fueled public protests, especially in less affluent rural areas, that threatened social stability and the political control of the Communist Party. In 2003, a third phase began, when the Chinese government took a first step toward mitigating popular discontent with health care by introducing a modest health insurance scheme covering some hospital expenses for rural residents. The focus on hospital care reflected the fact that hospital services were expensive and therefore drove many patients into poverty. But this hospital orientation also reflected limitations in the leadership's understanding of the critical role that competent primary care plays in managing health and disease and controlling the costs of care. Chinese authorities were also preoccupied with relieving the financial burden created by much more expensive hospital services. Not surprisingly, the 2003 reforms proved insufficient to ameliorate China's deep-seated health care problems. Second, major inequities continue between the health care available in poor rural areas and that in more affluent cities.5 Third, China continues to struggle with creating a high-quality, trusted, professionalized physician workforce. One legacy of China's market experiment is a widespread perception that physicians put their economic welfare ahead of patients' interests. Though China's health care system is still rapidly evolving, several potentially useful lessons emerge from its recent history. The first is that in low-income countries, and perhaps high-income ones as well, community health workers such as China's barefoot doctors can significantly improve the health status of local populations. Second, relying largely on markets to fund and distribute health services creates risks that need careful consideration. Though government price setting created market distortions, these do not fully explain the problems with quality, access, and cost that China experienced in the second phase of its recent history. Health care is subject to serious market failures. Asymmetries in information between patients and health care providers make it difficult for patients to make sound choices in free health care markets, and patients' lesser knowledge may be exploited by clinicians. Patients' resulting vulnerability, resentment, and distrust can be socially destabilizing — and may intensify when patients are heavily exposed to the costs of care, as they were until recently in China. Third, physician professionalism may be underappreciated as a foundation for effective modern health care systems. 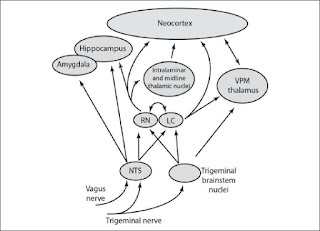 The inculcation of professional norms during and after training and the existence of professional institutions that reinforce these norms certainly do not guarantee that professionals will act only in the interest of their patients and the public. But there seems little question that the lack of a widely shared tradition of professionalism has complicated China's efforts to create a health care workforce that its leaders and the public trust to do the right thing. Is any of this relevant given the current state of health reform in t he United States. ?....Probably not since east-west cultural differences formed the basic foundations of each system.